Our guest today is a physicist, academic and inventor from Italy who fell foul of a somewhat fractious political climate. Macedonio Melloni made his name due to his studies in radiant heat and the ways in which infrared radiation was able to pass through a variety of materials, changing and fluctuating as it did so. Melloni was born to middle class parents in Parma and enjoyed a fine education, proving himself to be a most intelligent and inquisitive young man. His initial ambition was to pursue a career in art and he studied illustration in Parma before travelling to Paris to continue his studies. However, he found himself becoming more and more interested in scientific studies and eventually became a student of physics at L'École Polytechnique. Melloni enjoyed great academic success and returned to Parma as a professor at the city's university in 1824. Here he focused at that time on topics such as magnetism and photography yet his career was to end abruptly seven years later. In 1831 Melloni lent his support to the uprising in Parma and became deeply involved in the political landscape. When the uprising was crushed, he fled his homeland for the safety of France. Working both in France and other European cities, he embarked on the radiant heat experiments that made his name alongside Leopoldo Nobili. Although he was actively and enthusiastically engaged in practical and theoretical work, Melloni did not publish as widely as other academics and in fact never completed his master work, La Thermocrose au la Coloration Calorifique. He was a close friend and correspondent of Michael Faraday, who was Melloni's greatest champion on the occasions when the Parisian academic establishment took issue with the direction of some of Melloni's experiments. After nearly a decade in France Melloni left for Naples and took charge of the Vesuvius Observatory. In the years that followed he was decorated by the Royal Swedish Academy of Sciences, the Paris Academy and the Royal Society. 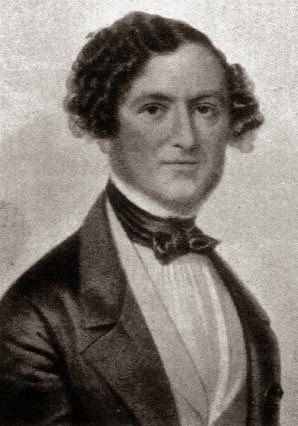 He married Augusta Brugnel Philipson in 1843 and the couple had three daughters, though cholera claimed Melloni's life just a decade or so after his wedding. The one thing that your posts really bring home to me is how there is a definite link between the arts and science in these times. This is not the first occasion where one of your subjects started their career in one discipline before moving to the other, most commonly in this same order. And their political activities are always somewhat controversial, to boot. Thanks for the interesting read! Thanks, Jools. Truly an age of enlightenment!